Alexis Sanchez has been omitted from Arsenal's squad to face Bournemouth. Sanchez did not even travel to the south coast, with Gunners boss Arsene Wenger admitting he was left at home over his unresolved future. 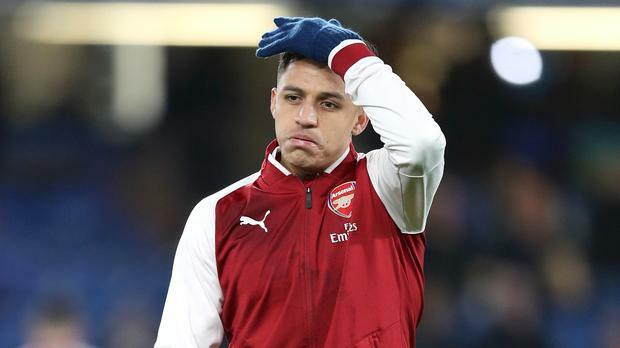 Sanchez has refused to sign a new Arsenal contract with his current deal expiring in the summer, and Manchester United and Manchester City are reportedly both keen on recruiting the Chile striker this month. Wenger confirmed before kick-off at Dean Court that he remained unsure on Sanchez's future. "I still don't know what is going to happen." Wenger admitted on Friday that Sanchez would not be signing a new Arsenal deal, ultimately paving the way for the 29-year-old to leave the north London club in the current transfer window.